A call came in from Rowan Count Animal Control asking HPS to check on a group of 7 horses that were very thin. Small herds such as this can severely drain funds from local animal controls so it isn't unusual for them to contact local rescues for assistance. We were glad to offer any help. The owner of the property was placing out a large round bale of hay to the small herd when we arrived. Two of the horses were old family pets; the other 5 were horses that had come to him for various reasons. Two were being kept for a friend that had moved out of state. Two had been taken in as payment for services previously rendered. 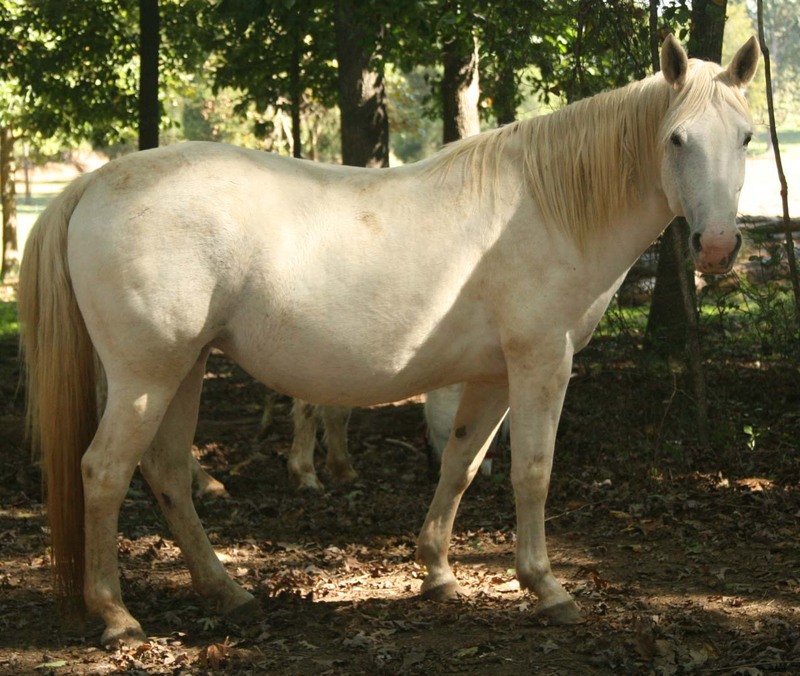 The last was a little white mare that had just weaned a foal. The little mare was in the worst condition at about a 2 on the Hennecke scale. 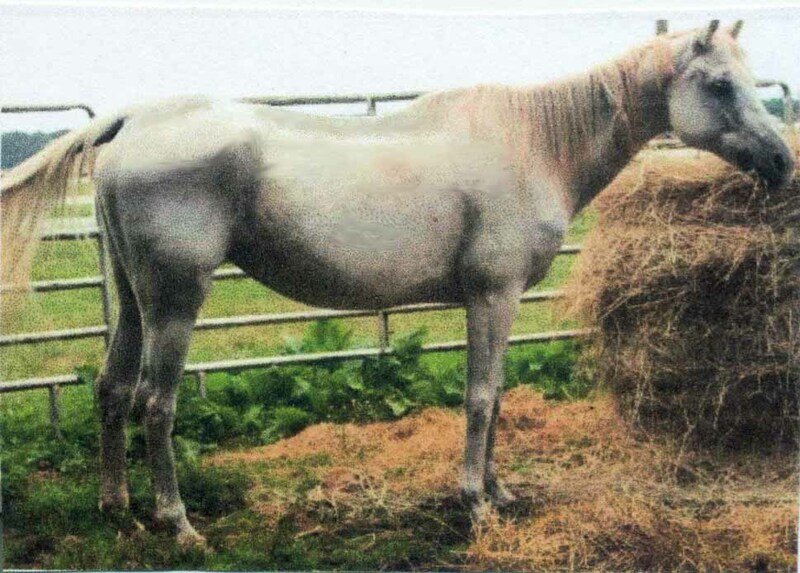 Lack of pasture and feed while nursing a foal had taken its toll on her. The property owner said that she was 20 years old and showed us her little paint foal that was now 6 months old. The foal was very tiny for its age despite having had a 16 hand sire. It was evident the property owner knew nothing about foals since this one hadn't been de-wormed in its life and was not on a feed designed for foals. We discussed proper care of the foal with him and he promised to secure the correct feed & de-wormer. He was trying to cull the herd and was making arrangements to send the two horses to West Virginia to their owner and was trying to sell the other two horses. He felt that by cutting his own hay he could take care of 2-3 horses. We advised him on feeds for the older horses and advised him to keep his teenaged children off the horses until they regained their weight again. The white mare concerned us and we made arrangements to have her brought to the sanctuary. The little mare quickly gained weight! She was named for the Native American Shasta tribe in Northern California. Our vet determined her to be only 14 years old, much younger than her former owner had stated. Shasta is a head mare and has organized all the "little" mares into her own private band and they have taken over the pond field. It can be quite amusing to see little Sweet Pea, now having gained courage from Shasta, chasing off the large mares. Shasta may be one of the smartest mares to ever have resided at the sanctuary. She never ceases to amaze everyone with her intelligence. Shasta is just going back under saddle but seems to have had very good training in her life. More info will be available soon! If you are interested in a nice little mare, please inquire about Shasta!